Former world heavyweight champion Wladimir Klitschko is interested in holding his final career bout at Olimpiyskiy National Sports Complex in Ukraine. The venue could hold over 70,000 fans, according to BoxingScene. A 41-year-old Klitschko (64-4, 53 KOs) admits that he's nearing the end of his career, boxingscene.com reports. On April 29, before a crowd of 90,000 fans at Wembley in London, Klitschko will challenge IBF heavyweight champion Anthony Joshua (18-0, 18 KOs). The vacant WBA, IBO world titles are also going to be at stake. Klitschko fought in Ukraine only once throughout his long career, back in December of 2008. Ironically it was also when he suffered his first career defeat, a TKO loss to Ross Puritty. "This arena meets all of the requirements for the organization and staging of championship fights. 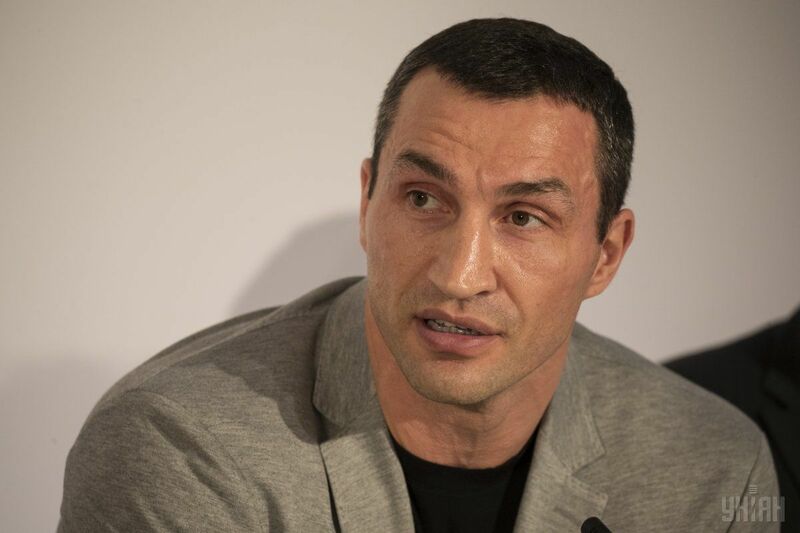 The Olimpiyskiy National Sports Complex, where the final of Euro 2012 was held, is in no way inferior to the best stadiums in Germany," Klitschko said. "But in order for me to fight here [at this stadium], it is necessary to review several factors and take them into account. For my part, I admit, I really want to hold a fight in Kyiv. Probably, it would be symbolic to have my farewell fight over here." Read alsoWBA sanctions 'main decade fight' between Klitschko and JoshuaKlitschko has been out of the ring since November 2015, when he suffered a big shock in the form of an upset twelve round decision loss to Tyson Fury. A lot of time was wasted while trying to secure a rematch. Fury withdrew from two rematch dates and then vacated his world titles to treat his mental health issues. A deal was then reached to fight Joshua. A win puts Klitschko back at the top of the division, and a loss has him one step away from calling time on his career.